Welcome to the last day of Cheap Art Week. 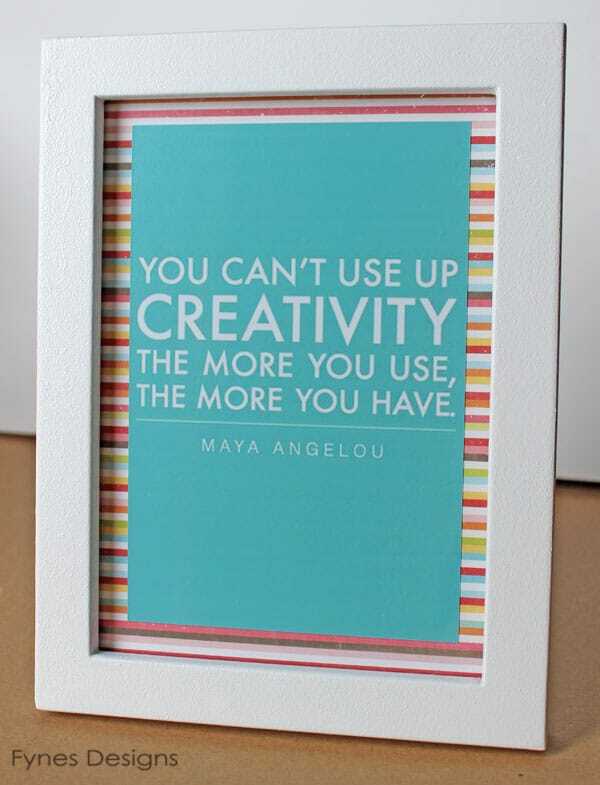 Today isn’t a new idea but quite possibly the cheapest and the least amount of work or creativeness involved. There are tonnes of free printable’s out there for the taking. 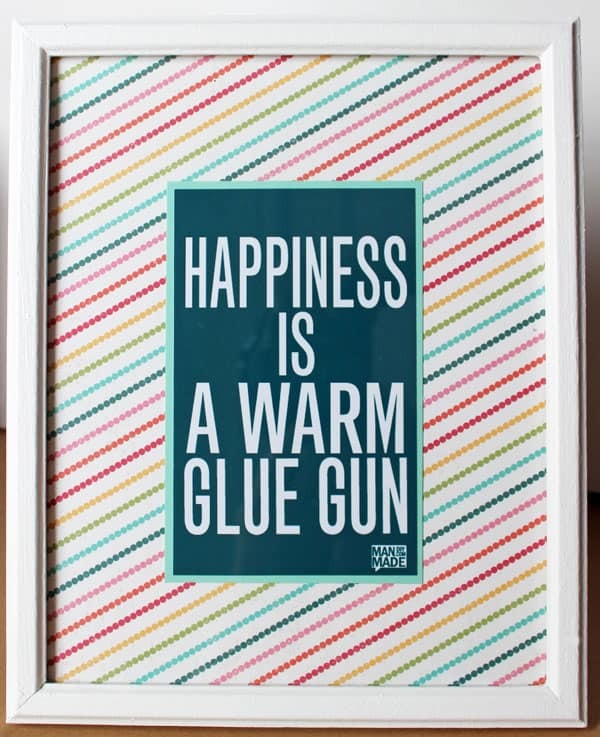 Simply click, download, and print. I personally use Costco for my photo printing (like .28 cents for a 5×7, and I like the quality). By combining a printable and some pattern paper you can give any freebie your own unique look. Take a look at a few I’ve put together. For the prints above I used Echo Park Paper and We R Memory Keepers pattern papers. Don’t limit yourself to only these one’s, there are so many out there, these are just a few of my faves. I of course put them in thrift shop frames so each one cost me about $1.25 for frame, paper, and print… not too bad if you ask me! Thanks for following along this week, I hope you found some cheap art ideas you’ll use! I love these! 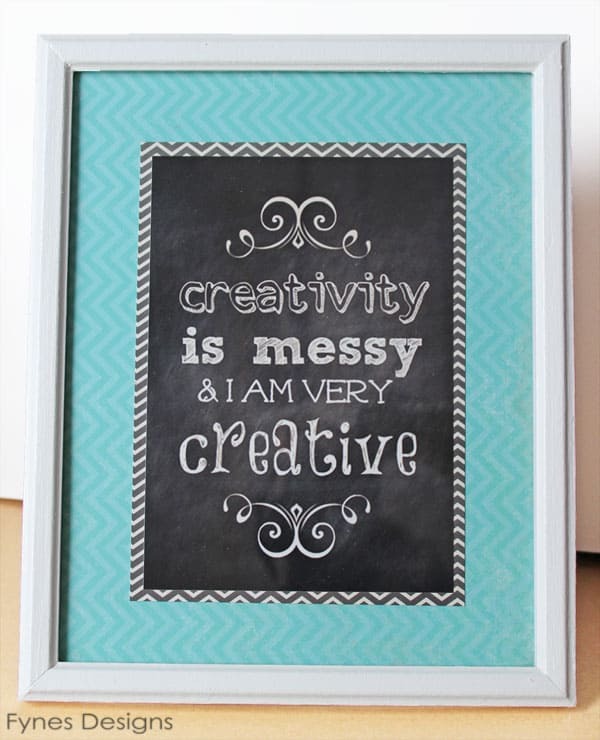 So fun, so fresh and will look amazing in your new room! 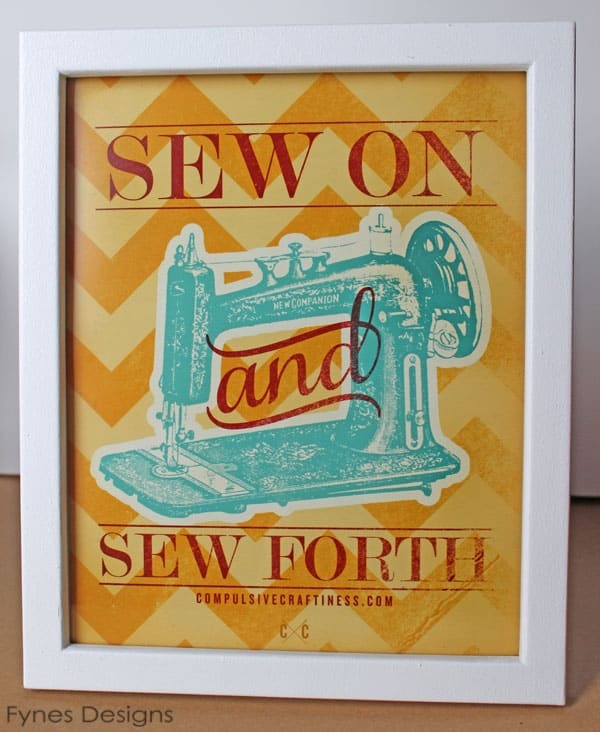 I SERIOUSLY love the Sew on and Sew Forth sign!! 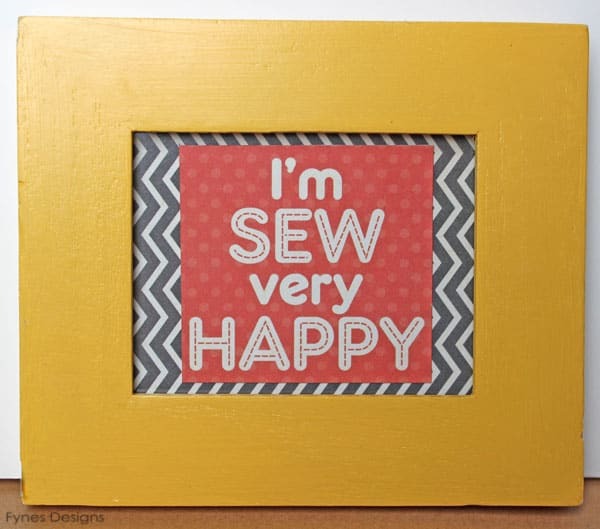 I need this for my sewing room! I love it so much too, I can’t believe it is free!